This ruling on Appeal by the Supreme Court relates to patents. A new invention is dreamed up by a person who then engages with a commercialization company to realize the product via patent registration, manufacture and marketing. The relationship is less than successful in that registration took place in one country only and the invention was never realized in a commercial product. Is the commercial company at fault, or does the failure of the product commercialization reflect mistakes of the inventor and market forces that are beyond the control of the commercialization company? [Ahidatex] undertakes to finance the drafting and registration of patents in Israel and the world, if requested to do so [by Madmoni], via the attorneys to be selected [by Madmoni] – this on condition that the manufacturing and marketing rights accruing from the patent if developed and registered, will be transferred to Ahidatex as a condition of this agreement, and all with the agreement and approval of [Ahidatex]. Following this initial agreement, the sides signed other documents. In 2002 Madmoni signed a document assignment his invention to Ahidatex, and a further document that stated that the rights were assigned in light of and in accordance with that stated in the original contract from 2000. In 2004 a further contract was signed that stated that it did not cancel the original contract by that it introduced a number of modifications, including Ahidatex’ financial obligation and Madmoni’s involvement in sales. In the years following the original contract between the parties, there were various steps taken to advance the invention. On 18 March 2002 a new patent application was filed in the US that related to the new sandals, and this eventually issued as US 6,751,892 ” Minefield shoe and method for manufacture thereof ” however corresponding patents were not registered in other jurisdictions. Madmoni was not happy with the relationship with Ahidatex and negotiated to terminate the relationship, and the parties agreed that if Madmoni pays $350,000 to Ahidatex, the commercialization rights would be transferred back to him. To facilitate this, Madmoni contacted a third party, Lior Stitching LTD, to undertake the manufacture and to pay the $350,000 to Ahidatex. Since the patent was ONLY filed in the US, Lior Stitching did not accept the agreement. At this stage, Madmoni sued the defendants in the Jerusalem District Court (Civil Complaint 3070/09), arguing that defendants had violated their contractual agreement and caused him heavy losses. Madmoni argued that the defendants had failed to file the patent applications in other jurisdictions and had failed to effectively market the Sapper’s Sandals to the Israel Defense Forces and other potential customers. Ahidatex counter-sued Admoni for revealing trade secrets to Lior Stitching, and for return of money they had paid him (Civil Complaint 3551/09). Judge Jacobi of the Jerusalem District Court rejected both the complaint and the counter-complaint in a ruling of 24 June 2012. The District Court reviewed the contracts and heard witness testimony and concluded that there was no breach of contract. The District Court did not find that Ahidatex had contractually obliged itself to file patent applications in other jurisdictions but only if requested to by Madmoni. The District Court found Ahidatex obliged to prosecute the pending patent applications but not to file them unless Madmoni specifically requested applications be filed. Consequently, Madmoni himself was responsible for their not being additional filings. Furthermore, Madmoni himself knew that the patent was not filed in Israel and that the corresponding European application was abandoned. As far as the old sandals were concerned, Ahidatex was not obliged to market these, but was merely entitled to. As to contracting the Israel Defense Forces, the District Court considered that Ahidatex had acted reasonably and could be held responsible for the failure of the IDF to express an interest. The counter-case was dismissed as being a reaction to Madmoni’s filing suit and lacked inherent validity. Madmoni contended that it was clear to Ahidatex that they should file more widely and in particular, should file applications in Israel and Europe. He alleged that the assignment gave Ahidatex, as the more experienced partner, free reign to file wherever they wanted. Consequently, he didn’t contemplate the eventuality that Ahidatex would not file in Europe and Israel. Madmoni alleged that the District Court had erred in their understanding of the contractual relationship and had ignored provable evidence that Ahidatex had failed to fulfill their obligations. Madmoni also alleged that Ahidatex had been tardy in negotiating with the IDF. Madmoni further accused Hazor of negligence and inequitable behavior and thus considered the District Court had erred in dismissing charges against him. The defendants requested that the Appeal be dismissed on the grounds determined in the Court of First Instance. The Appeal was essentially against factual and not legal determinations and was thus an illegitimate attempt at forcing a retrial. The Supreme Court suggested that the parties attempt mediation but this was not successful. After reviewing the case, the Supreme Court upheld the District Court’s findings and dismissed the appeal. The defendants had not undertaken to absorb any and all costs in patent prosecution but merely to underwrite the cost of prosecuting and maintaining the patents filed by Madmoni himself. The Supreme Court also did not see fit to interfere with the District Court’s findings that the IDF’s failure to purchase the product was the result of Ahidatex’ poor marketing. As far as equitable behavior of the CEO, despite accepting that the obligation on the CEO and investors should be interpreted widely, the court did not see fit to find them responsible in this case. There is no doubt however, that this is one of those difficult cases, not because of the legal aspects, but because of the sorrow and feelings of loss of an inventor whose hopes are dashed. Nevertheless, the court did not find that legal obligations towards him were ignored. The decision was upheld but no costs were awarded. Civil Appeal 7300/12 to Supreme Court concerning Madmoni vs. Ahidatex et al. The ruling by Judge Barak-Erez, with Judge Rubinstein and Chayot concurring, 3 June 2015. The ‘Sapper Sandal’ or ‘minefield shoe’ is a sort of snow shoe with a large surface area due to inflatable pockets underneath that engages a soldier’s boot. I have no doubt that it spreads pressure over a larger surface area and that it reduces sudden pressure. It should, therefore, have some efficiency against mines of various sorts. On the other hand, it may be less successful than the inventor imagines, and I suspect will make walking difficult. That as may be, having a patentable invention is not necessarily the same as having a workable solution. 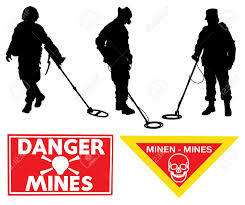 I do not know if armies need a solution for a soldier to cross a mine field or a way for clearing mine fields. I do not know if this solution has military value. Presumably, however, the Israel Defense Forces is quite capable of such a determination. If the Israel Defense Forces IDF had adopted the idea but manufactured without Ahidatex, there would be some argument that failing to file in Israel had caused damage. This does not, however, attribute this damage to Ahidatex rather than to Madmoni. In general, military hardware inventions should be filed in the US, Europe and Israel to cover major manufacturers. This particular invention is low tech and could be manufactured widely and if it works, could be of interest in all conflict zones. In my experience, inventors sometimes have unrealistic expectations. They get emotionally attached to their solutions, whereas commercial entities are more likely to be motivated by commercial considerations. It is an unfortunate characteristic of entrepreneurship in general, that one cannot know up front what is the correct strategy, and patents of this type, are, by their nature, aimed at creating new markets. If there is a real need, someone else may come up with a competing product that is as good or better, or merely cheaper. Finally, it should be appreciated that when entering into contracts, both parties should be very careful that the contract is clear and unambiguously covers all eventualities. This can avoid unnecessary litigation from which all parties (except for the attorneys) lose. ill be happy to show you in few minutes that the judge contradict himself all the judgment that he wrote! And that he even quoted the opposite of what’s written in the recording and that its a 100% winning at my side from the contract and from his own judgment! The high court simply didn’t read nothing! I don’t know whoe are you but they told me that there is nothing to do against judge no matter if it’s a cut clear from the honor that they demand I will say “mistake” of the judge and by the way there 30 country’s who is using my old patent and I have a letter from zahal that the new one is a step jump compare my old one. And this is a big “avel” that was done to me ! If you want further detail my phone 052-4401011. By the way I will be able to connect only via phone because of technical problem .